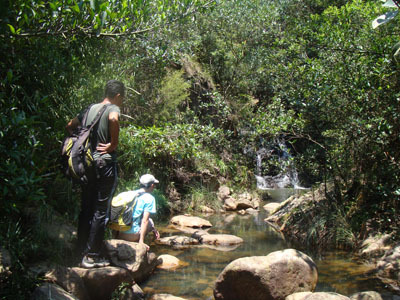 This is a very short stream, yet it is tightly packed with pools, waterfalls and interesting climbs. Water is quite affluent. 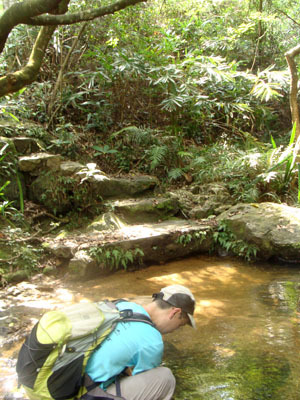 Water quality is ok for swimming with a bit of algae. Although it is not a very wide stream, it is not narrow in any sense. You can easily find space for a comfortable rest. 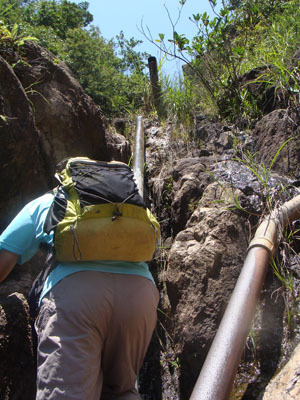 The climbs are quite challenging, it is not for the faint-hearted. 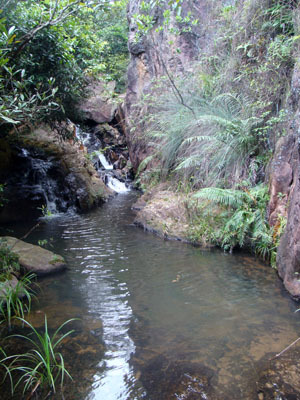 This is the dam of the settlement basin. 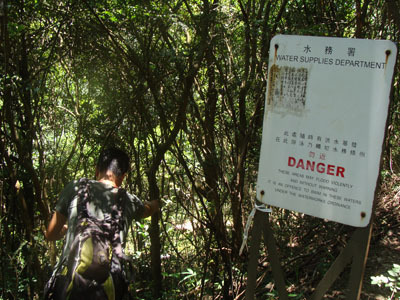 On seeing this sign, we detoured from the hiking trail and moved down to the stream. 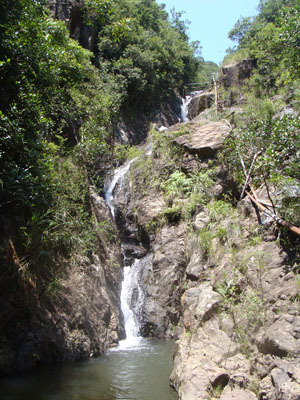 The is starting point, the waterfall is like dancing snake. We move up along the water pipe laid on the right. When we got close to the middle portion of the pipe, difficulty emerged. The rocks on both size of the pipe are very step, foot holes are limited. Our last teammate is climbing up. 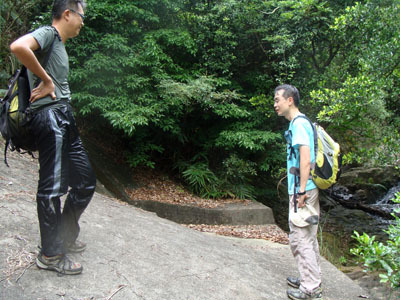 The upper portion of this waterfall is easier but full attention is still needed. 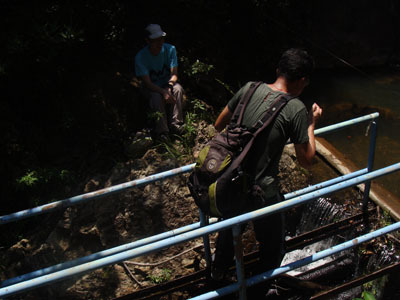 On the top of the waterfall, you will find a small dam. You can walk on the water pipe to stay dry. Actually you can also use the big rock on the right to proceed. That's what I did. 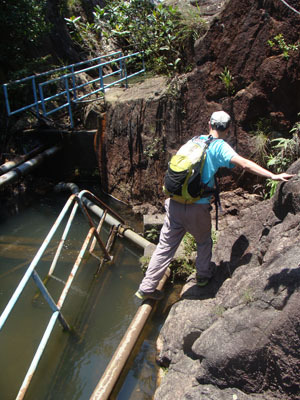 As a matter of fact, we found that there was a hiking path leading to this point by-passing the water pipe climbing. I guess the path is connecting to a nearby hiking trail. A broken bridge, only metal frame remains. We get around this water pool on the left. 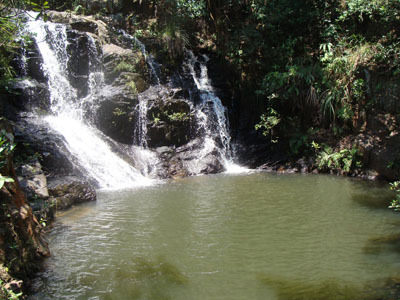 Wow, a sizable pool and waterfall ahead. 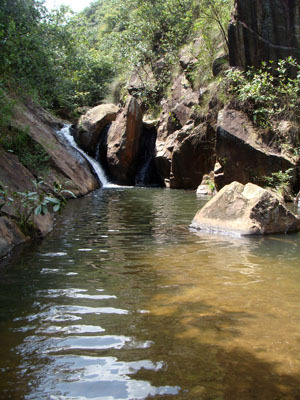 This should be the biggest and deepest water pool of this stream. 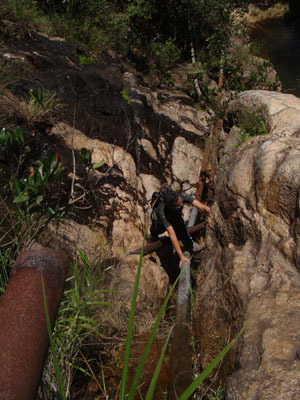 Some people try to climb up on the wet surface on the left. Well, you can try if you have prepared to get very wet. There must be an alternative. On the left side, you will see a fairly strong tree anchoring on the left cliff. The cliff is about 2~3M tall. The cliff is slightly overhang. You can climb up the cliff with the help of the tree. The top of the cliff is some loose stone and sand. Be very careful with this. 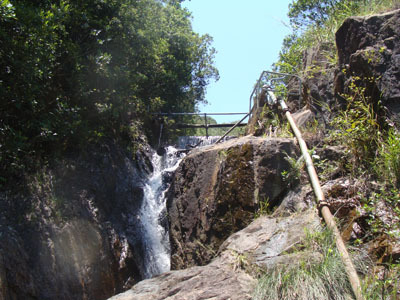 You will then find a very faint trail that lead you to the top of the waterfall. 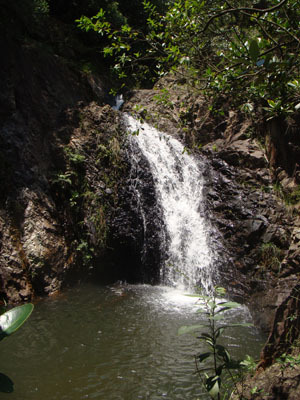 We all reach the top of the waterfall. There is another water pool with sandy bottom. We moved forward on the left side of the pool. This elongated water pool looks very creepy. 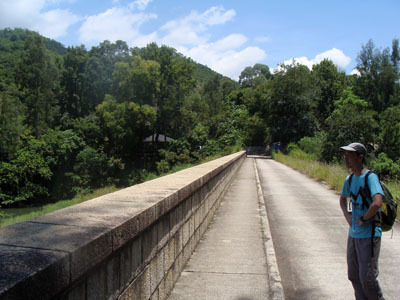 There is a man-made concrete slope, this is the first exit. 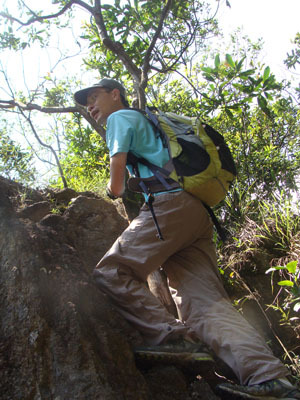 Climb up the slope, you will reach the road. 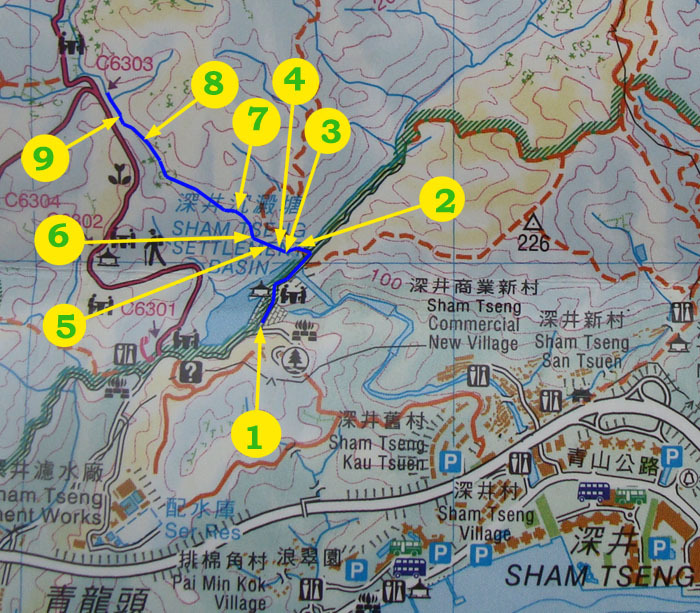 Or you can keep trekking in boring upper stream for a few more minutes, you will reach the second exit where stairs are available for leaving.